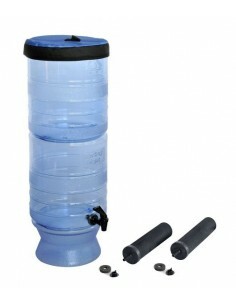 Countertop Water Filter There are 5 products. The HCS is a quality Stainless Steel housing extremely easy to install and uninstall, making it portable and, therefore, the ideal solution for people who move house on a regular basis. 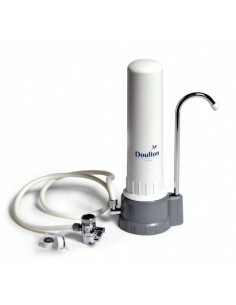 The Doulton HCS is very simple to install. It fits to most common threaded mixer taps via a diverter valve. The HCPS is a two stage filter system. Stage 1 gives the flexibility for you to customise the system to your requirements, with a pre-filter cartridge, a fluoride cartridge or a Cleansoft limescale reduction cartridge. Stage 2 houses a ceramic filter candle. 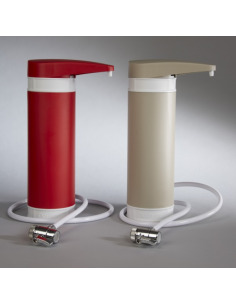 The Doulton Filtadapt is a water filter system with a 360 degree swivel spout. The filtadapt requires minimal space on your counter top. 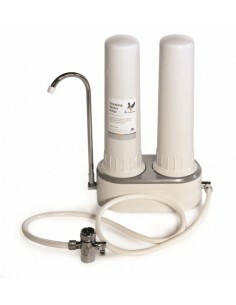 The water filter is connected to your kitchen faucet via a diverter valve. The Filtadapt accepts 10" Doulton ceramic filter candles. Start benefiting from clean, healthy, great-tasting water straight-away with the easy to install HCP Counter-Top Water Filter.